Reinforced and durable fabric with external water-resistant surface. 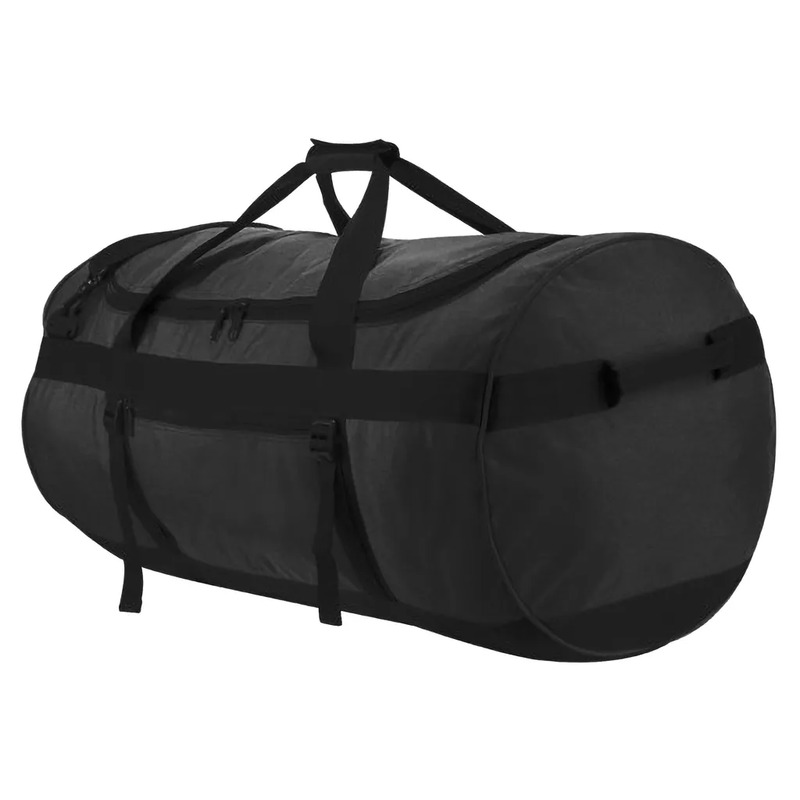 Large main compartment with internally coated water resistant base. See through name pocket at one end. Reinforced webbed handles each end. Compression straps on both sides. Adjustable shoulder strap and reinforced webbed carrying handles. Material: 600 x 600 Polyester 78T PVC coating. Dimensions: 80 x 43 x 43 cm. Decoration area: 14 x 24 cm. Suitable for screen printing/transfer printing or embroidery.